Sergey Starodubtsev, the CEO of Shell NeftRoyal, said that Dutch Shell plans to increase the number of its gasoline stations in Russia to about 450. Anglo-Dutch oil giant Royal Dutch Shell intends to double the number of its gasoline stations in Russia to about 450, the CEO of company's Russian subsidiary Shell Neft, Sergey Starodubtsev, said Wednesday. "In Russia, Shell has 227 filling stations at the moment — in Moscow, St. Petersburg and other regions of Russia, for example, in Tatarstan. Do we plan to expand the network? Yes, we plan…. Shell considers Russia one of the priority regions… At least, we are planning to double the number of gas stations in Russia in the near term," Starodubtsev said at a press conference. 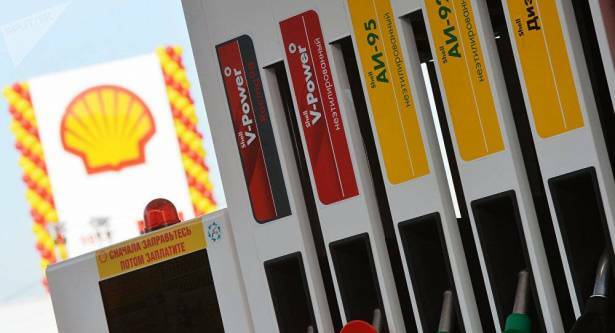 Last year, Royal Dutch Shell Executive Vice President for Retail, Istvan Kapitany, said the company's plans in Russia were ambitious and noted that Russia is the main growth market for the Shell filling stations network in Europe. In October 2016, the company's Vice President for Retail in Europe and South Africa, Jacek Dziembaj, told Sputnik that Shell planned to build 70 gas stations in Russia in 2017, bringing the number of filling stations in the country to 300. Shell owns the world's largest retail network, operating more than 43,000 filling stations in more than 80 countries under a single brand. Shell's projects in Russia include participation in the development of deposits on the shelf of the Sakhalin Island in Russia's Far East (Sakhalin-2), the development of the Salym group of oil fields (Khanty–Mansi Autonomous Area) and the Caspian Pipeline Consortium.